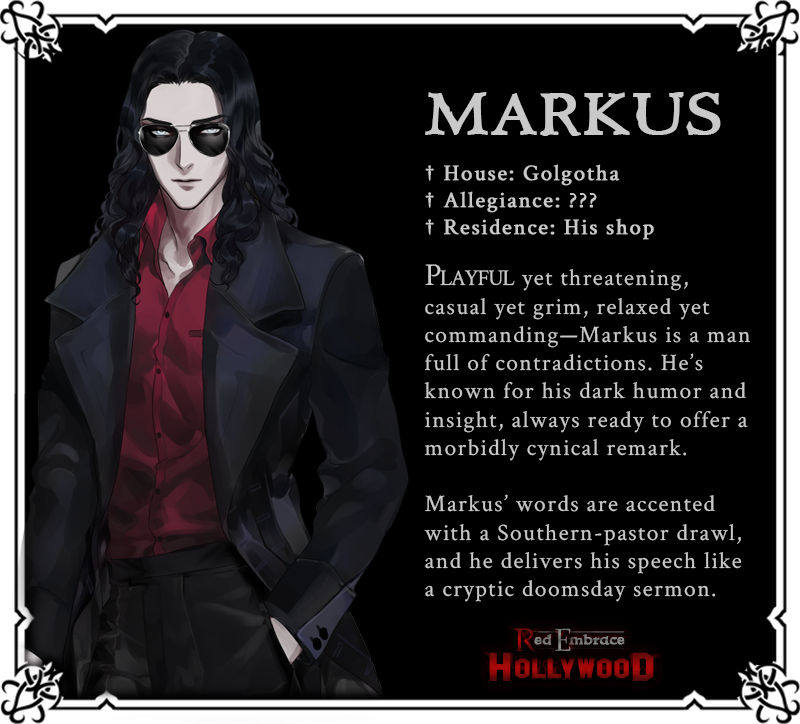 Please give a warm welcome to our first revealed character and "poster vampire," the mysterious and unpredictable Markus. If you’re interested in hearing more from Markus (and about REH), he’s kindly made a Twitter account to share his thoughts with us all. Make sure to follow him–he’ll be doing some Q&A’s later, as well as announcing future chars.